Another year, another NBA 2K game to purchase and play. This year’s edition, NBA 2K19, is jammed full of DLC items to grab it you picked up any of the multiple versions of the game. To help you get all your items, I’ve thrown together this how to access NBA 2K19 DLC items guide. Read below to find out when and how you receive the various DLC items. Note: There is currently a number of issues surrounding the Anniversary DLC. For those on Steam having issues with your bonuses not appearing, try logging out of Steam then back in again (it worked for me). When you login into NBA 2K19, you will be credited any currency owed. Depending on which version of NBA 2K19 you purchased will determine how much Virtual Currency you are awarded. For the Standard Edition folks that pre ordered, they are owed 5000 VC. For the 20th Anniversary Edition peeps, the amount owed is 100,000 VC. Regardless of which edition you purchased, the deliver method for the VC itself is the same. When you login to NBA 2K19 for the first time, you should get credited the VC you are owed for whichever version you acquired. If you picked up the 20th Anniversary Edition of NBA 2K19, you are slated to receive 50,000 MyTEAM Points. These points can be used to purchase MyTEAM packs. To get your 50k, simply login to the MyTEAM mode and they will be credited to your account. Access the Prize Packs menu to reach your DLC cards and packs. Your cards and packs should be waiting for you in the Prize Packs tab. For both the Standard and 20th Anniversary Editions of NBA 2K19, players will receive a few card packs throughout the NBA season. 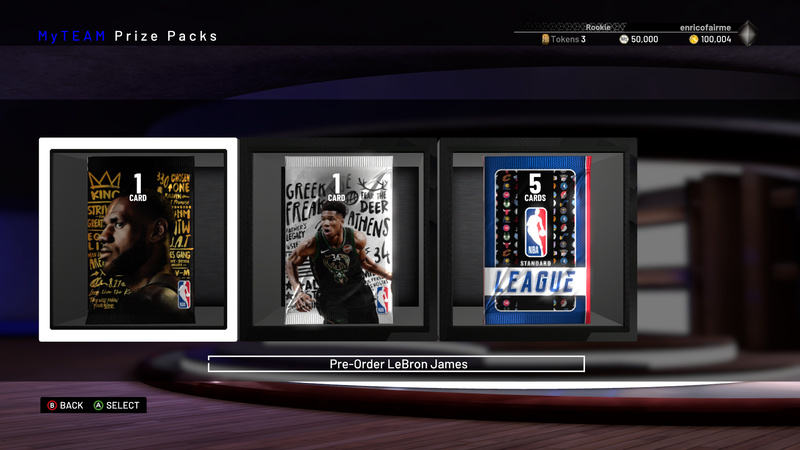 These card packs are delivered in the MyTEAM mode. You can open them once you’ve received them. Besides the card packs, there are two cards you will receive if you own the 20th Anniversary Editions of NBA 2K19, and one card for the Standard Edition (Antetokounmpo). The cards are Sapphire LeBron James and Giannis Antetokounmpo. 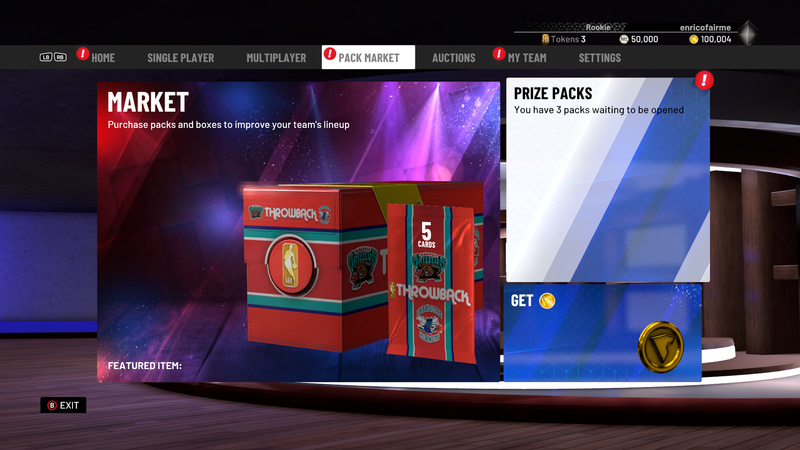 Both cards and packs can be grabbed in the MyTEAM mode under the Pack Market Tab in the area called Prize Packs. Select the MyCOURT tab to change the look of your MyCOURT. 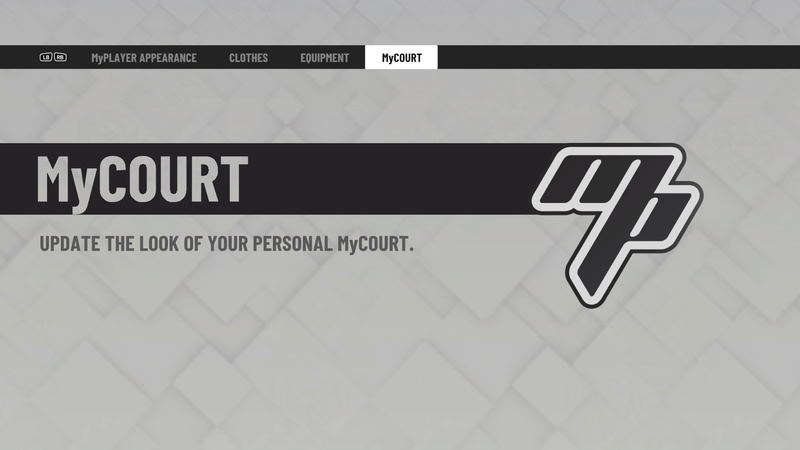 There are a number of LeBron James themed MyCOURT items you can apply. If you popped on the 20th Anniversary Edition of NBA 2K19 you will receive a whole ton of LeBron James themed items including items for your MyCOURT. These MyCOURT items include 5 LeBron-themed murals for MyCOURT and a LeBron MyCOURT design. To apply any of these items, complete the Prelude then access the start menu. On the start menu you will have the ability to customize your MyPLAYER. Select this option and then select the MyCOURT tab. 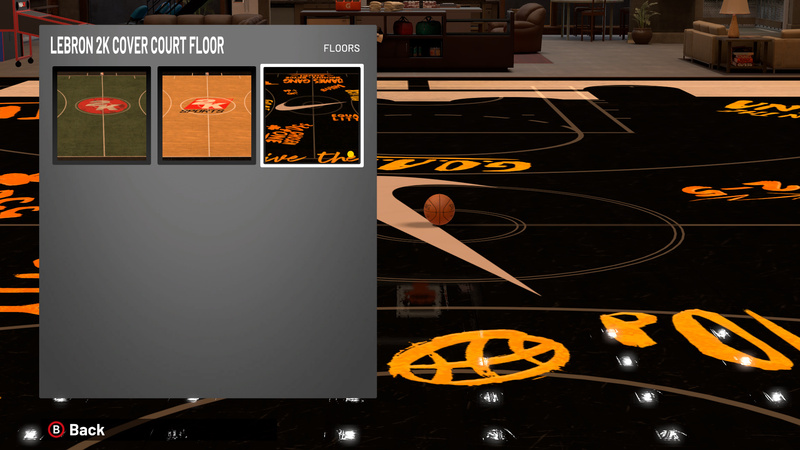 From the MyCOURT menu you can change things like backboards, color of the ball, and apply murals to your MyCOURT. 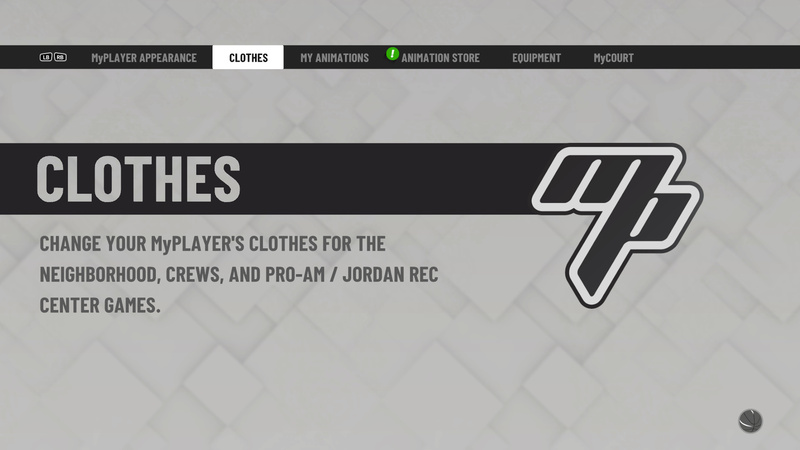 Where Are The LeBron Apparel Items? The LeBron apparel items can be found under the CLOTHES tab. 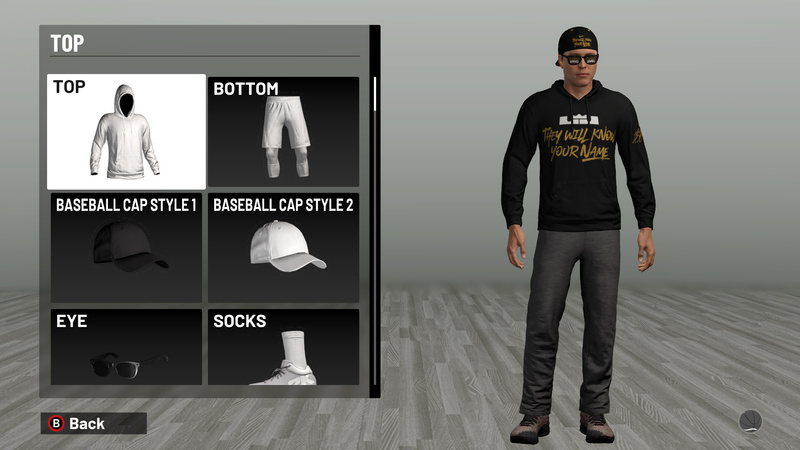 Under the CLOTHES tab you can equip different shirts, hoodies, and whatever else you want on your player. The last piece of DLC you can access in NBA 2K19 is called the King’s Collection. This collection of Nike LeBron apparel is available to anyone who bought the 20th Anniversary Edition of NBA 2K19. To access the apparel and footwear, make your way to the customize your MyPLAYER tab. Select this option and then select the CLOTHES tab. From the CLOTHES menu you can change things like shirts, pants, hats, and shoes. Here you are able to equip any of the LeBron apparel you like. 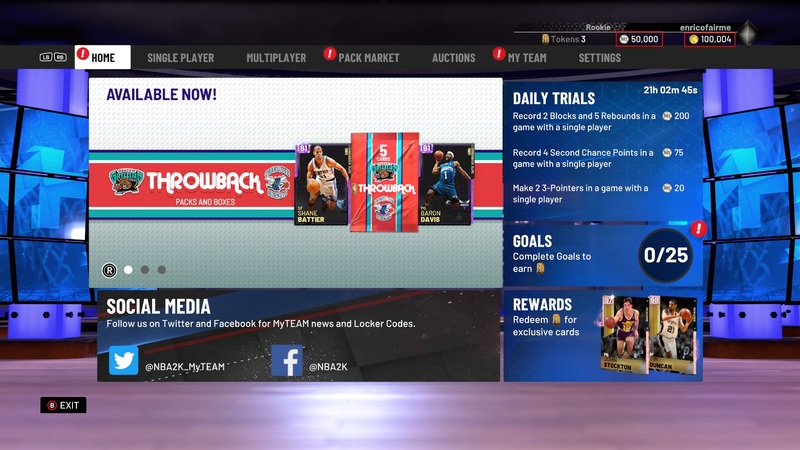 Thoughts on this guide on how to access NBA 2K19 DLC items? Drop them in The Pit below. I made another player, but i dont see the dlc items on this player, how do I get my lebron james dlc gear on this player? I purchased the 20th anniversary edition on ps4 I put in my redeem code I didn’t receive my 100,000 vc or my lebron gear nothing what now??? Anybody know?? I purchased $100 edition. Received 100k VC and 50k my team points. No Lebron gear. I made a second dude and deleted the first one where did my lebron shoes go? 2ksupport is telling me that the content was redeemed on a player that I deleted, but cannot be copied onto another save file the most they can do is clone the deleted file. Apparently, the gear can only be applied to one mycareer which is mind boggling. I purchased the Lebron edition for ps4 and xbox on disc. I haven’t received the Lebron pack nor the VC coins. Same here did you find out how to fix it yet? I purchased the 20th anniversary and now I’m not receiving my Lebron James gear in the My clothes section why is this?